LG has launched its new range of speakers under its CAV category. The new range consists of three new speakers as highlights. These include the SJ5 Sound Bar System, the FJ5 or X Boom ‘Party Maker’ and the OJ98 or X Boom ‘Typhoon’. 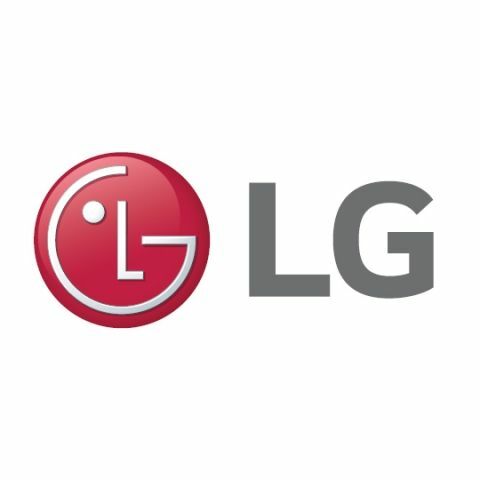 LG is all set to present its new line up of speakers that will redefine the music experience for listeners, with new and improved features and power-packed performance. This new range which falls under LG’s CAV category, has three new speakers as the highlights. These include the SJ5 Sound Bar System, the FJ5 or X Boom ‘Party Maker’ and the OJ98 or X Boom ‘Typhoon.’ With this new range, every music enthusiast will be able to experience a musical extravaganza which weaves magic and sets hearts racing. The SJ5 Sound Bar System has a 320 Watts sound quality and can be clubbed with the TV to provide a powerful surround-sound experience to the users. This has got 4K Sound (High-Resolution Audio) like WAV, FLAC and ALAC Sound formats Playback. It comes with an Adaptive Sound Control (ASC) which analyses the content in real time and automatically adjusts to allow crystal clear sounds and auto raises the sub for more impact. The Sound bar comes with its own remote but can also be operated using the TV remote. The design of the system is elegant with a premium metal finish that can make anyone’s heart skip a beat. Next in line is the LG X Boom ‘Party Maker’ which boasts of a 15” Woofer that will thrust a party to new heights. It comes equipped with handle and recessed wheels that makes it one of the most portable speakers around. A powerful Bass sound can get the party started with the superior and crystal clear auditory output of the speaker. Its Music Flow App allows you check and select USB content from your smart Phone. It has a Multi-Jukebox feature to customize a playlist from upto 3 Bluetooth devices at the same time. Now multiple users can play their song lists using this feature and cater to everyone’s music preferences, increasing the entertainment 3-folds. The X Boom Party Maker has an exciting Karaoke feature vocal Fader that reduces the vocals from any music so that one can sing their own version of the song. The Voice Effect allows for changing 18 voice effects while one sings. The most premium offering from this lineup is the X Boom ‘Typhoon’ - the ultimate party speaker. The speaker comes with a Dual Subwoofer allowing 1800 Watts RMS of booming beats and a Blast Horn to enhance the re-booming effects. With the new features of the X Boom Typhoon streaming music from the phone, Karaoke App or YouTube has become so convenient. Its Music Flow App allows you check and select USB content from your smart Phone. One can also opt for the Karaoke USB Recording to record a track in their own voice. The Vocal Effects feature helps in playing around with various voices to double the fun at every party. The speaker can be connected with 3 Bluetooth devices at the same time, to create, manage and add to the playlists called the Multi-Jukebox feature. The Party Thruster feature of the X Boom Typhoon enables the music player to go upto full throttle, by pushing it forward to build up the sound. The wild lighting and booming bass of the speaker makes it an ideal party partner. Effortless DJ Effects and DJ LOOP gives professional DJ looks to this product. The new range of speakers is sure to pack a punch like never-before with its wide range of features and thumping performance. The technology of the speakers coupled with best design aesthetics, is sure to make them a big hit among technology lovers and all those who love to have a musical extravaganza.